Join students from around the world for this Free School session’s live broadcast with Patricia Summers and Reed Summers from Boulder, Colorado, USA. Together we will enter into an interactive journey as we study and engage in “Preparing for the New World”. To watch live go to the Free School to enroll. Registration is required. Watch Live here. 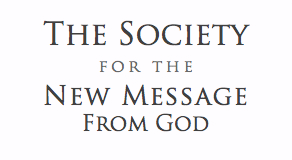 For enrolled students who are visiting or living in Boulder, CO, please join us at The Sanctuary of the New Message. If you have never visited before please contact us at the email below.